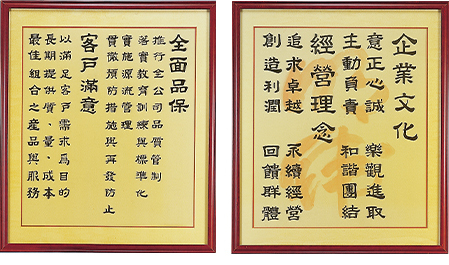 This meaning is consistent with Mr. Lin’s personal belief - one who has right thinking, good intention and runs a legitimated business, no matter he is capable of accomplishing a noble goal or not, he should persist and conquer. Later on, from the similar English pronunciation of “MEAN WELL”, it further came up with 「明緯」as the Chinese company name. 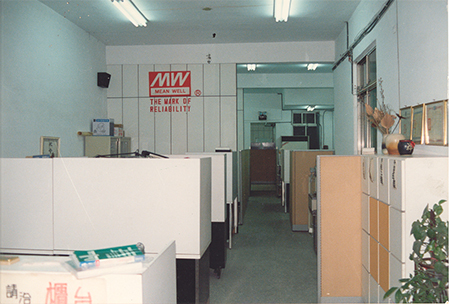 In 1993, MEAN WELL implemented ISO9001 and Total Quality Management (TQM). We established a complete quality system and acquired ISO9001. Further, TQM committee was set up to clearly define MEAN WELL’s quality policy and corporate principals. The spirit of the brand and quality requirement deeply infused into our daily works. In 1997, we modified our CIS (Corporate Identity System) and designed a new slogan ”Your Reliable Power Partner”. We sure-footedly nurture the core of our competitiveness- P, Q, C, D, S, R (Products, Quality, Cost, Delivery, Service and Reliable Relationship). We continue to provide reliable power supplies to customers in the long term and become their reliable power partner. 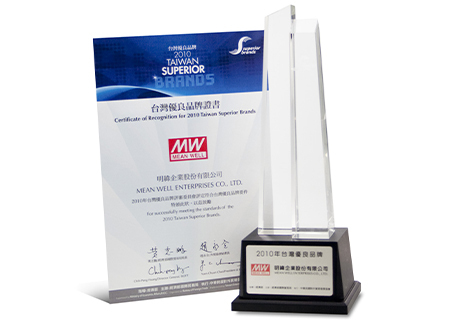 In 2010, MEAN WELL was awarded the “Taiwan Superior Brands 2010” title by the Taiwan Bureau of Foreign Trade (BOFT). The purpose of holding the contest is to encourage Taiwan domestic enterprises to build their own brand. MEAN WELL is honored to be granted this award which greatly encourages us for the efforts and marketing achievements in promoting and cultivating “MEAN WELL” brand.